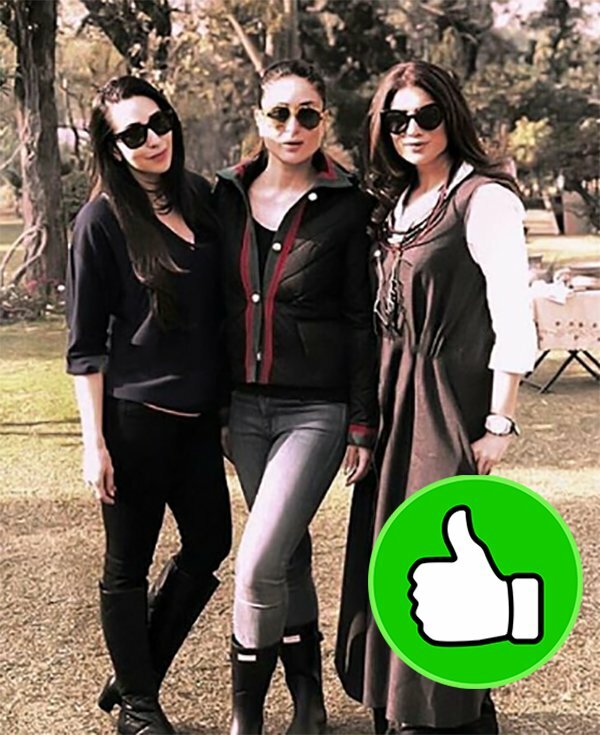 Our B-Town ladies, Aishwarya Rai Bachchan and Kareena Kapoor, chilled outside Mumbai. While Aishwarya attended a watch brand, Longines event, Kareena celebrated son Taimur’s birthday in Pataudi. 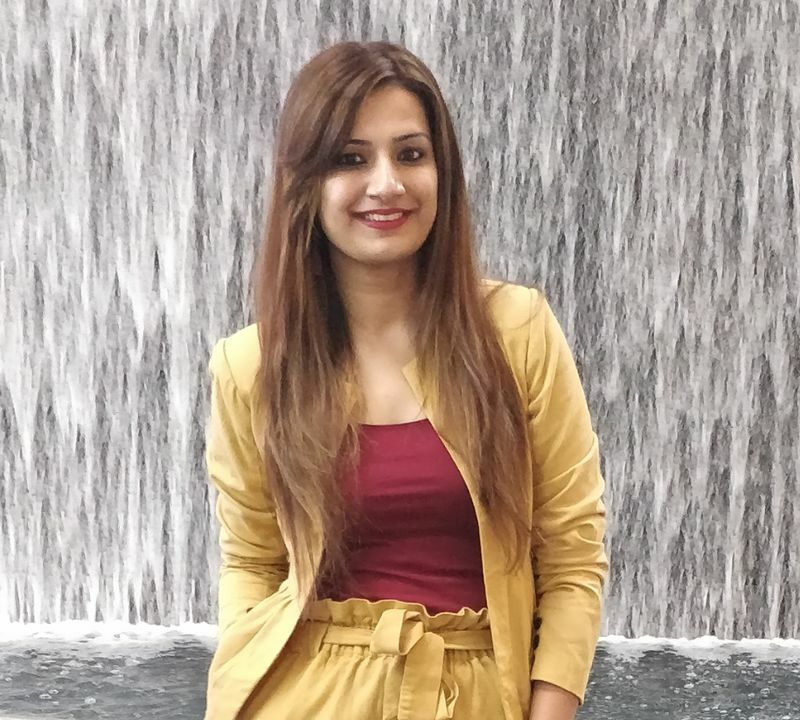 Anushka Sharma met India’s Prime Minister, Narendra Modi to invite him for her wedding reception, tonightand Mouni Roy celebrated the wrap-up of her film, Gold, with the entire cast. Lastly, Amitabh Bachchan’s granddaughter, Navya Naveli Nanda was spotted in the city post a salon session. 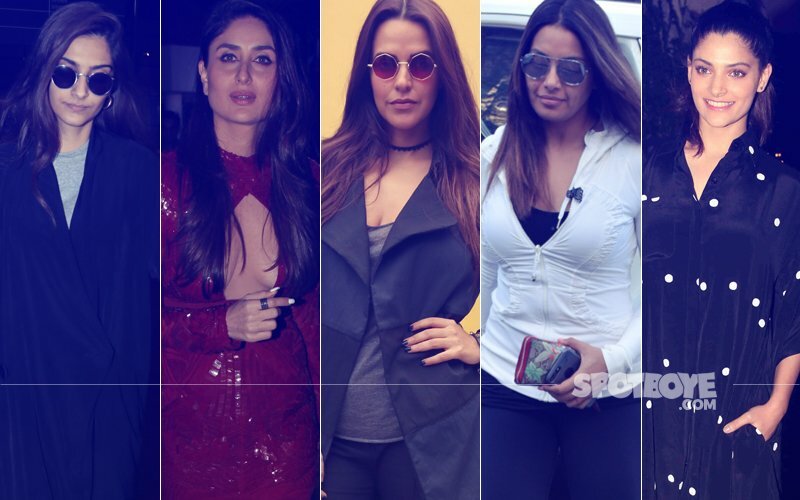 KAREENA KAPOOR- STUNNER- Kareena shows us how to beat the winter in the SEXIEST way. 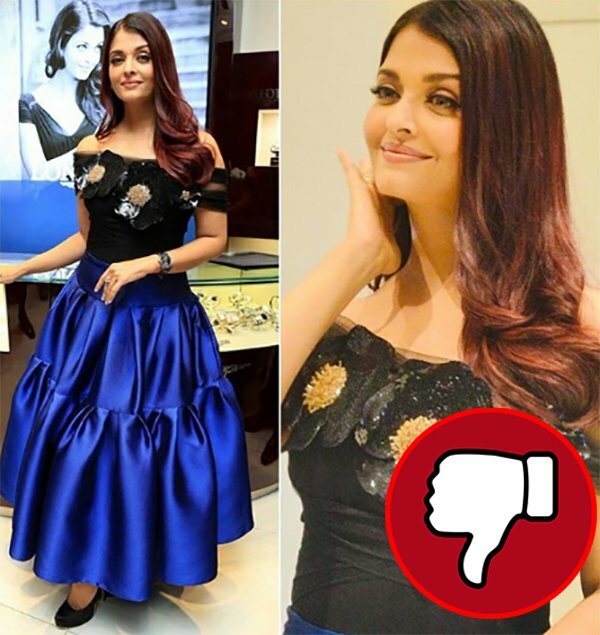 AISHWARYA RAI BACHCHAN- BUMMER- This could easily land in the list of her worst appearances till date. NAVYA NAVELI NANDA- STUNNER- Navya keeps it simple and smart in a military shirt and white pants. 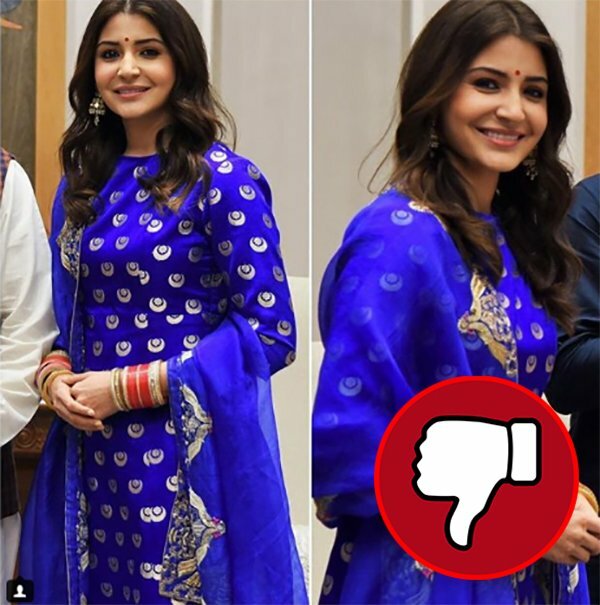 ANUSHKA SHARMA- BUMMER- Mrs. Kohli could have done better with her Indian attire for sure. The work on her suit and the colour doesn’t appeal much. MOUNI ROY- STUNNER- Mouni looks hot in a black netted crop top and skirt. 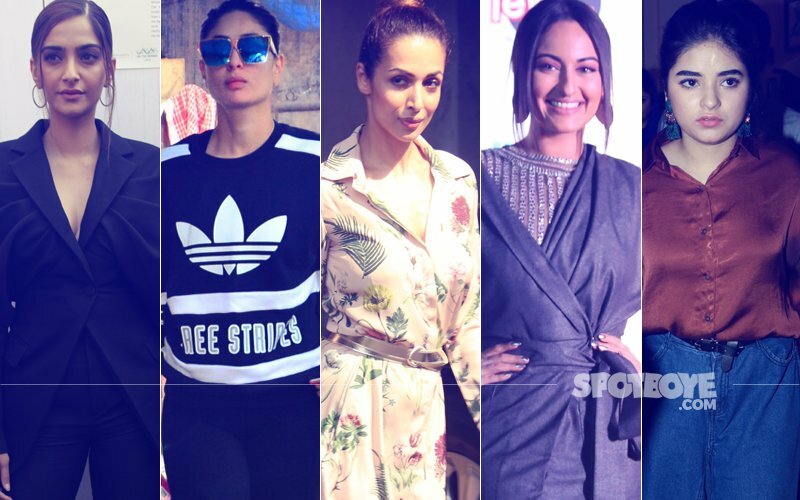 STUNNER OR BUMMER: Sonam Kapoor, Kareena Kapoor, Neha Dhupia, Bipasha Basu Or Saiyami Kher? 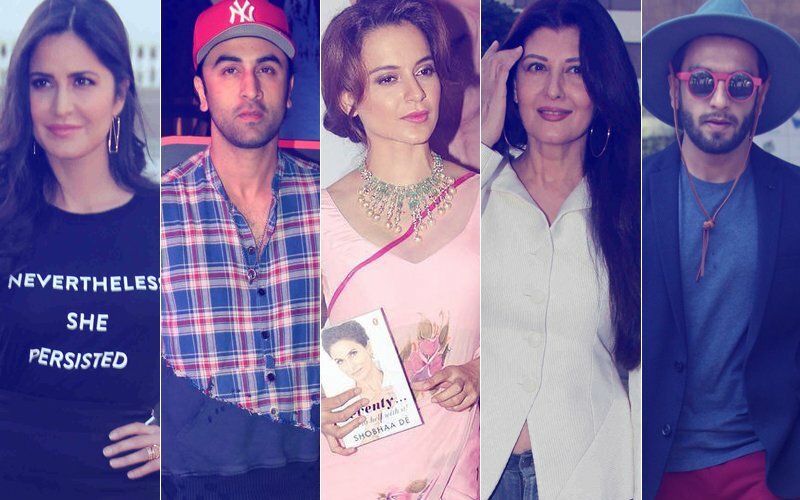 STUNNER OR BUMMER: Katrina Kaif, Ranbir Kapoor, Kangana Ranaut, Sangeeta Bijlani Or Ranveer Singh? 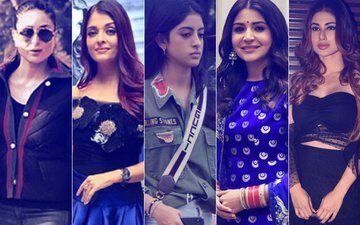 STUNNER OR BUMMER: Katrina Kaif, Shraddha Kapoor, Nidhhi Agerwal, Rani Mukerji Or Shilpa Shetty?